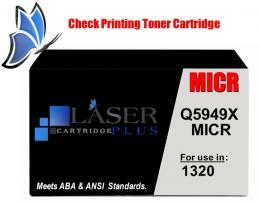 Call to see if in stock - HP 1320 MICR Toner, HP LaserJet 1320 MICR, Q5949X MICR. Print your own checks with our modified HP Q5949X MICR Toner. For use in: HP LaserJet 1320, 1320n, 1320nw, 1320tn, 3390, 3392 printers. Note: This cartridge DOES NOT FIT the HP LaserJet 1160 series printers. 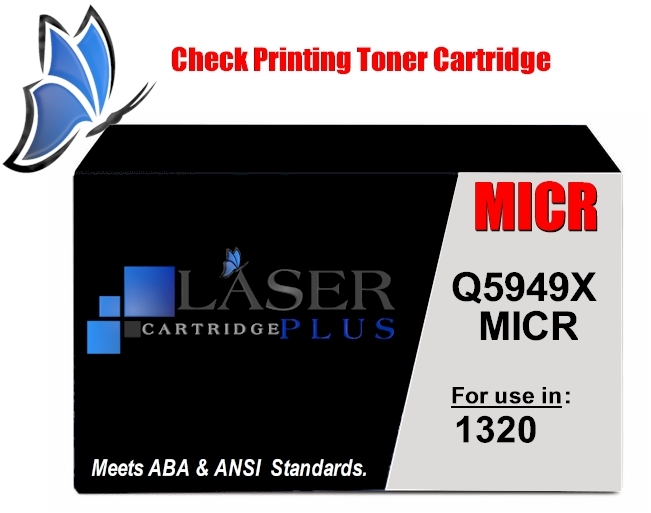 Compatible with MICR Cartridges: Q5949X, THN-49X, Q5949X, THN-49A. Page Yield: 6,000 @ 5% coverage, High Yield MICR.